In 1911, The Munson Mail was started by Grover Cleveland Duncan in Munson, Alberta. In April 1918, the printing plant was moved into Drumheller and amalgamated with the printing job plant of E.C. Payne. In September of 1952, three Drumheller businessmen (John Anderson, Sam Robb, and Osborne Sheddy Sr.) purchased the newspaper from The Clarke Brothers. John was the accountant, Sam was the Pressman, and Ossie was the young Salesman and Manager of the operations. Little by little, Ossie reinvested his share of the profits into purchasing more ownership in the company until he owned all shares in 1972. In the past 100 years there have been over 15 newspapers startup in the area but the Drumheller Mail has always maintained the largest proven circulation in the area. Today, the business is still owned by the Sheddy family and employs over 20 people. 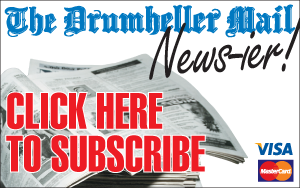 The Drumheller Mail has been dedicated to providing outstanding news coverage for the last Century and will continue to operate under this mandate. Each week they strive to provide fair and accurate reporting of the current issues that affect the people residing within their trading area. In 1999, The Drumheller Mail created an online edition of their newspaper at www.drumhellermail.com This website was one of the first newspapers in Alberta to have news video clips incorporated into the site. Although the site was cumbersome, and required special software to view the video clips, it was very popular. DrumhellerMail.com still continues to be a very popular website.